Welcome to the BarbelHammer’s Blog. Thanks for dropping by. You’ll find here some random jottings about following West Ham United FC and my fishing exploits. Hope you enjoy it. 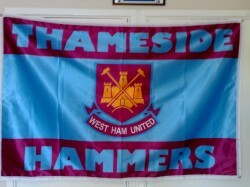 I’ve been a West Ham fan all my life. I guess it was inevitable, being brought up in by a Hammers-mad family (which dates back to when my granddad first started going to games in about 1920) and saw my first match at the Boleyn Ground in 1966. It was a good time to start supporting them, as of course they’d just won the World Cup, following on from FA and European Cup Winners Cup successes. I started going to games regularly in the mid-seventies, and have had a season ticket continuously since 1982. As well as all the home games, I get to at least half the away matches each season. As any Hammer will tell you, supporting this club is a real emotional rollercoaster. The only thing that they are consistent at, is being inconsistent. Just when things start to look good, they’ll do something to kick you in the nadgers. Then, when you begin to think things couldn’t get any worse, they usually do – but just occasionally there’ll be a surprise win or two against one of the big sides. I’ve been fishing for more than 45 years, since I was a small boy. For many years, I did general coarse fishing, which included quite a bit of match fishing with my local club. But even during that time, barbel were my favourite fish, and in the early 90′s, I gave up the match fishing to concentrate on catching more barbel. Nowadays I fish almost exclusively for this one species, though I have been known to occassionally turn my hand to catching grayling, and have even done a bit of canal carping. Although I concentrate on barbel, I don’t consider myself as a specimen angler (so don’t expect to find any useful tips here! ), just someone who likes to get a good bend in the rod, while enjoying being on the river in natural surroundings. Among my favourite places to fish are the rivers Kennet, Teme and Severn. 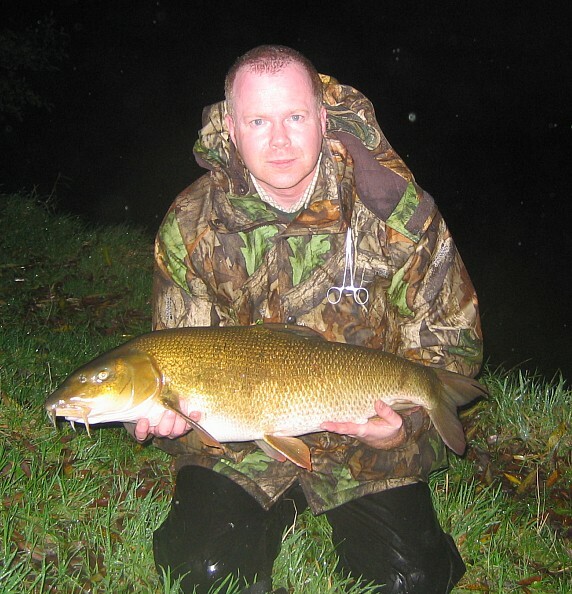 My biggest barbel to date weighed 14.11 and was caught from the Royalty Fishery on the Hants Avon. Do you know who comes up with new West Ham songs? Some get discussed on internet forums. Others get made up in pubs or among groups of friends. Going back to the 70’s & 80’s there used to be a fella who was known as “Bubbles” who was well known for coming up with many a song, but I don’t know if he’s still around these days.